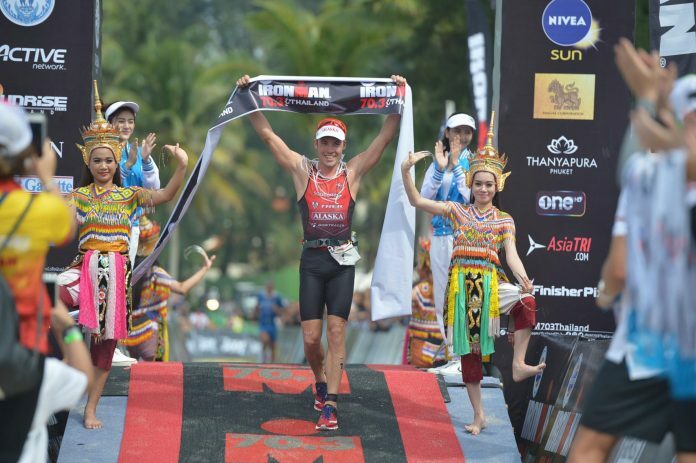 Packed field of Pros and Age-Groupers line-up for 2017 Foremost IRONMAN 70.3 Thailand in Phuket | JustRunLah! The 2017 Foremost IRONMAN 70.3 Thailand will welcome it’s biggest field of professional triathletes ever when 34 Pros line up alongside 1,248 Age-Groupers for Thailand’s iconic IRONMAN event on 26th November in Phuket, the centre of triathlon in Asia. The warm waters off Bang Tao Beach and signature tough, yet beautiful, bike and run courses have made the Foremost IRONMAN 70.3 Thailand a favourite for triathletes from around the world who wish to combine the tropics with an IRONMAN event. Come gun time, it’s game face on for all and the 22 Male Pros and 12 Female Pros will square off for a share of the USD15,000 (approx. 500,000THB) prize purse. In the male field, the race is open for the taking. Last year’s third placer, Tim Van Berkel (AUS) is back off a solid 15th at the 2017 IRONMAN World Championship in Kona, Hawaii and appears an early favourite, while fellow Australian Braden Currie, who won 2017 IRONMAN New Zealand and also competed at Kona, is looking to make his mark in his Thailand debut. One to watch out for is Canada’s Brent McMahon. Having recorded the fastest IRONMAN debut ever (winning IRONMAN Arizona in 2014), McMahon set the course record at IRONMAN Lake Placid earlier this year and despite a disappointing DNF at the IRONMAN World Championship, is fit and looking to make amends at the Foremost IRONMAN 70.3 Thailand. The male talent is deep and expect strong performances from Guy Crawford (NZL), Sebastien Jouffret (FRA), Michal Bucek (SVK) and many others, as well Phuket’s adopted Italian sons Massimo Cigana and Alberto Casadei, who as regular competitors in Phuket are looking to shake-up the Pro field this year. In the Female Pro field Amelia Watkinson (NZL) returns to defend her title after a stand out win at the 2017 Cobra IRONMAN 70.3 Philippines earlier in the year, while last year’s bridesmaid, Phuket-based Dimity-Lee Duke (AUS), is hoping to go one better this time. Also looking to better her 2016 performance is Parys Edwards (GBR), who placed fourth last year and arrives in good form with a second place at 2017 IRONMAN Wales to her name, while 2016 and 2017 ITU World Triathlon Series World Champion Flora Duffy (BER) is definitely one to watch. Immogen Simmonds (CHE) competed as an age-grouper last year, won her category, finished second female overall and beat many Pros in the process. Now competing in the Pro ranks, Simmonds comes into the event in hot form following a second place at IRONMAN 70.3 Xiamen in China last week and is looking to end her season in style with her first IRONMAN win. For the almost 1,500 age-group triathletes from 68 countries, thirty age-group qualifying slots are available for the 2018 IRONMAN World Championship in Kona, Hawaii and thirty age-group qualifying slots for the 2018 IRONMAN 70.3 World Championship in South Africa. Returning to Phuket for the second year, the 2017 Foremost IRONMAN 70.3 Thailand is organised by Sunrise Events (Thailand), the Title Sponsor is Foremost with Major Sponsors FBT and Fox Sports, and support from the Sports Authority of Thailand and the Province of Phuket. Event Partners include Angsana Laguna Phuket, Bangkok Airways, Thanyapura Health & Sports Resort, Gatorade, Pepsi, Aquafina, Bollox, UFC, Cetaphil, Zoot and Kitbrix. Media Partners include Mthai, Phuket Cable, The Phuket News, Phuket Bulletin, AsiaTri and FinisherPix. 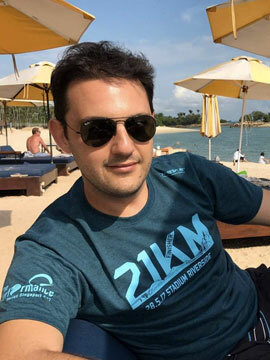 BIO: Andreas loves to write and talk about emerging technologies, trends, numbers and statistics. He spends most of his time programming while thinking about running, or running while thinking about programming. Click here for more post from Andreas.